Johannesburg shop owners tell of attack Jump to media player Two shop owners who hid in the back of their shop in Johannesburg as it was attacked by a mob have been speaking about their fears. The South African president Jacob Zuma has cancelled a trip to Indonesia in order to deal with the violent attacks taking place against foreigners in his country. At least six people have died and 150 have been arrested in the past two weeks, with armed groups targeting foreign-owned shops and homes. 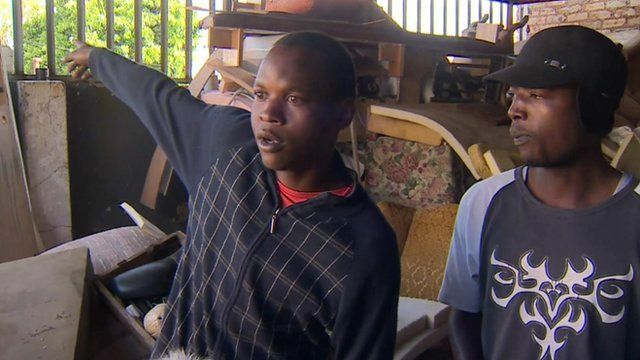 Two shop owners who hid in the back of their shop in Johannesburg as it was attacked by a mob have been speaking to the BBC's Karen Allen.